During winter break, I got the chance to see the highly praised film ‘Frozen’ much to my brother’s dismay. As I watched the film, I’ve made several interpretations relative to the novel we are currently reading right now, “All Quiet on the Western Front”. Mind you, I have written some spoilers in order to elaborate further on the characters’ motives, both “All Quiet on the Western Front” and Frozen. 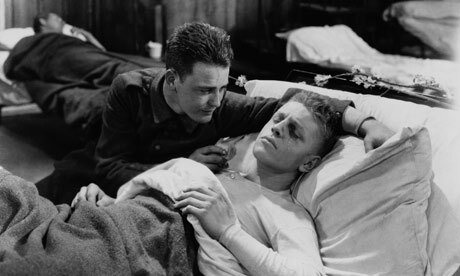 While we were reading “All Quiet on the Western Front”, a highly-acclaimed novel about World War I, an important character named Paul receives permission to go home for two weeks, allowing him to see old friends and families. Although he seems quite content to take a break from shells and machine guns, he feels out of place without the trenches or his friends by his side. It’s as if he doesn’t belong where he’s supposed to belong and vice versa. Perhaps it is the fear of losing all of his friends while he’s gone? Or he senses the urge to stay with everyone while he’s there. Going back to Frozen, Elsa the recently-coronated queen, feels that her powers doesn’t allow her to belong in her kingdom in Arendalle. Her ice powers and her past history with her sister’s almost-fatal injury has made her feel insecure about showing her true colors. I can sometimes relate to this because having many debates and arguments at home that most teens would discuss with their parents, I would feel much more comfortable being at school where my friends and I could easily talk with each other without feeling guilty or mad about something. Another connection I’ve found was how Elsa and Paul have kept secrets from their friends and families for the sake of providing a leeway from them worrying so much. 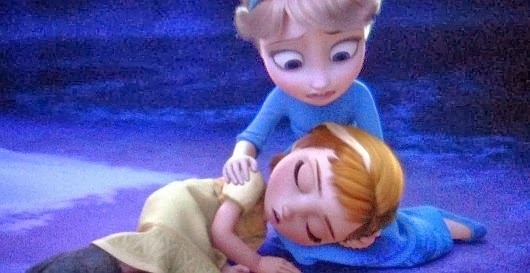 Elsa has almost costed Anna’s life with a little fun and games when they were younger. When her family took Anna to the rock trolls to seek help, they have made the decision to keep it a secret from Anna of her previous incident. As an addendum, her father has made it clear to make sure nobody knows about her powers as well, thus reducing the number of staff members and unfortunately for Elsa, reducing her time with her little sister. Going back to ‘All Quiet on the Western Front’, Paul has kept secrets from his friend’s mother. When he was returning home for a few weeks, he has decided to share the news of Kemmerich’s death with his mother in the most shortest way possible. He spares her the details of how he actually died because he understands that her grief of her son will only grow if he shares the horrific truth. In the end, the similarities between the two characters intertwine with each other, despite the different settings and situations. One may have been viewed as an antagonist while the other may have been viewed as reserved. As we overcome these first impressions of them and understand their histories, their true identities shine through, allowing the readers to see the example they must set among their peers.